A strong finish is anticipated in 2018 for Whitehaven Coal, which has maintained guidance despite a soft September quarter. Despite a soft start to FY19, Whitehaven Coal ((WHC)) is expected to quickly reset a course in line with unchanged guidance, as Maules Creek and Narrabri return to normal production in the December quarter amid improved pricing. Saleable coal production was below expectations in the September quarter because of impacts from pit re-sequencing, while the inclusion of stockpiles meant total sales were ahead of most broker estimates. Whitehaven Coal has maintained full year guidance for 22-23mt, supported by increased tonnage from Narrabri. Production at the Gunnedah open pit was accelerated in the September quarter to compensate for the Narrabri outage but this is not expected to continue. Realised pricing for metallurgical (coking) coal was US$128/t and thermal (energy) coal US$113/t. The longwall change-over at Narrabri and seasonal price weakness has passed so Deutsche Bank reiterates a positive stance on the stock, noting the probability of capital returns is edging closer as FY19 approaches and the company's two growth projects are likely to get increased attention over coming months. Bell Potter, not one of the eight stockbrokers monitored on the FNArena database, expects the company will continue to deliver excess cash to shareholders, forecasting operating earnings (EBITDA) of around $1bn and free cash flow of $890m in FY19. The broker's Buy rating is underpinned by a positive outlook for the seaborne coal price, a strong balance sheet and production growth and the target is $6.30. Yet Shaw and Partners believes a recent softer trend in thermal coal prices should be watched. The broker, also not one of the eight, retains a Sell rating and $3.10 target for Whitehaven Coal. Morgans assesses Whitehaven Coal as a compelling exposure to robust thermal coal dynamics amid the potential for further capital management, upgrading to Add from Hold. The broker backs a successful longwall move taking Narrabri back to target, as the company has a history of managing its production challenges as operations age. A higher proportion of low calorie coal meant the mix was less favourable than anticipated in the September quarter, as incremental semi-soft coking coal sales into the spot market were not considered justifiable. Shaw and Partners points out, while the level of low calorie sales is likely to moderate over the next three months, there is not much incentive to chase incremental metallurgical sales. Still, strong thermal coal prices and tailwinds from currency should ensure free cash flow is strong, Credit Suisse asserts, conceding the incentive to increase metallurgical coal tonnage is insufficient, given relative pricing points. The broker hopes both Narrabri and Maules Creek in the December quarter can capture the pricing dynamic. 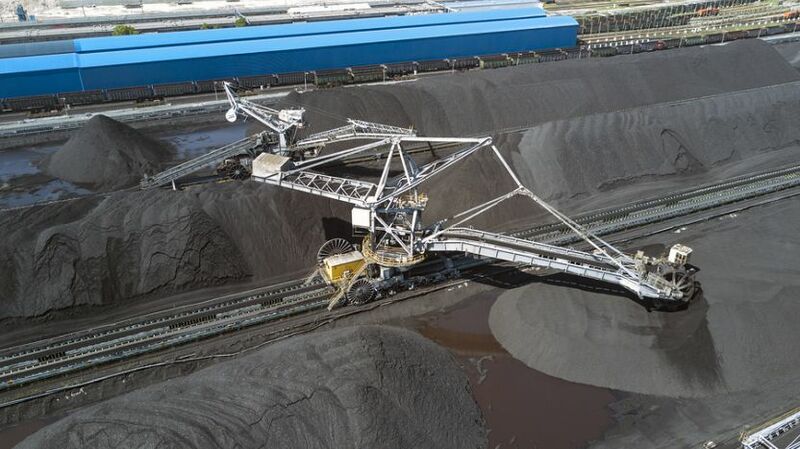 Whitehaven Coal has noted the gradual degradation of quality in high calorie coal continues to affect supply and magnify the spread between 5500 cal and 6000 cal, underscored by the jump in exports of lower calorie coal, mostly coming from Indonesia. Morgans believes the politics of thermal coal supports a stronger-for-longer thesis. This complements stable demand from traditional customers as well as new markets. Traditional customers are seeking the same calorific content, while committing to burning less coal, hence high-energy coals are enjoying robust demand. On the supply side, a cautious attitude towards developing new high-energy Australian supply, particularly from the Hunter region, is severely restricting supply growth. The company's cash flow leverage to higher-than-expected pricing and the scarcity of large ASX-listed pure coal exposures supports a market premium, Morgans asserts. The Vickery environmental impact statement has been submitted and the first hearing will occur by the end of the year. Vickery is currently approved for 4.5mtpa but the company believes its plans for an expanded project are superior to the original design. Meanwhile, Winchester South may be accomplished earlier than the expected five years, Shaw and Partners suspects, as the process in Queensland is much faster than NSW. The broker also notes Whitehaven Coal needs to validate the product split estimated by previous owner Rio Tinto ((RIO)). FNArena's database shows seven Buy ratings and one Hold (Macquarie, yet to comment on the quarterly). The consensus target is $5.86, suggesting 6.7% upside to the last share price. The dividend yield on FY19 and FY20 forecasts is 8.5% and 4.6% respectively. See also, Uncertainty Creeps Into Whitehaven Outlook on July 17, 2018.